It’s an honor to have a wedding selected and featured for publication in the current fall/winter 2015 issue of The Knot Texas! Caroline & Jeremy’s Rock Springs Texas wedding was an absolute treat to photograph. Their wedding day, complete with a custom ceremony stage built on top of a river on their family land, unfolded like a Texas ranch fairytale to inspired future brides and grooms in the new year. 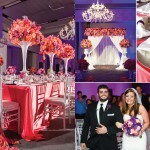 Enjoy this awesome spread from top Austin wedding photographers Cory Ryan Photography! Doug Daniels - Congratulations, Cory! Beautiful photographs! !